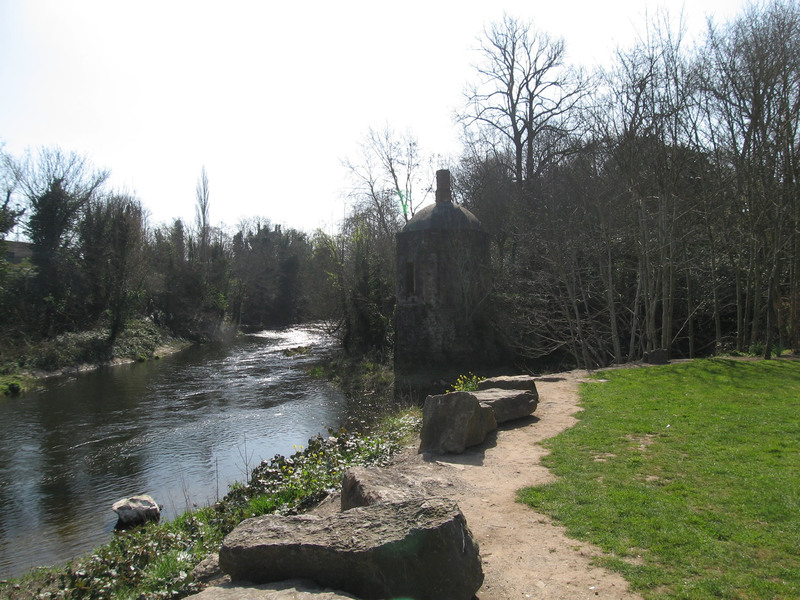 Where the the Rye Water meets the River Liffey a Boat House Gazebo stands at the water edge. 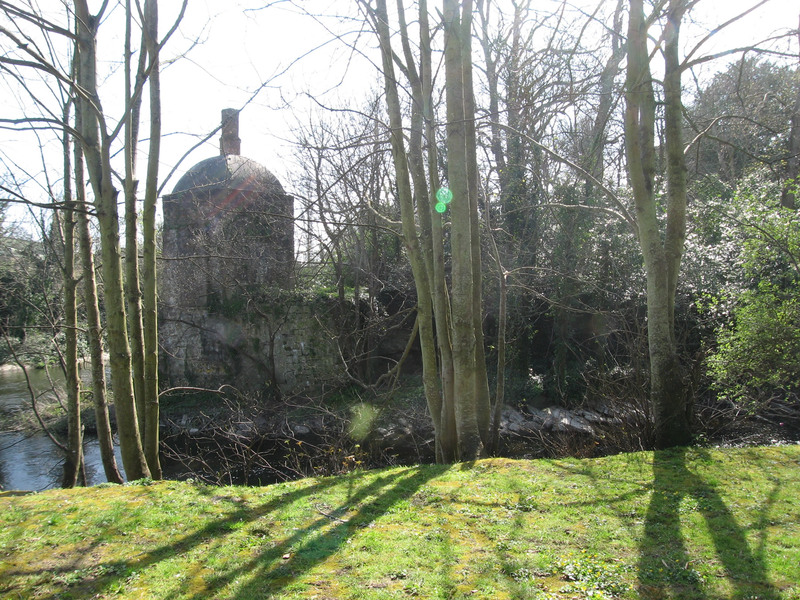 Before the dam was put in, the water flowed through the bottom of the boat house. 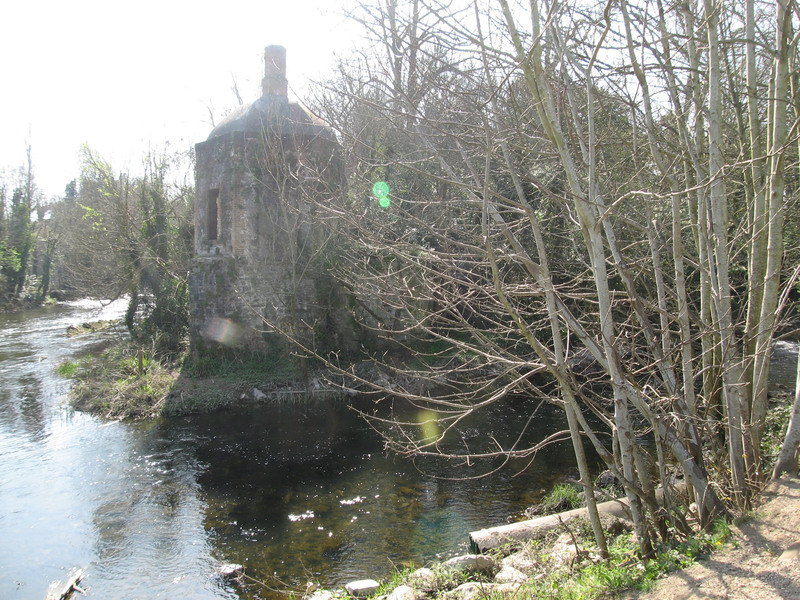 The top used to be comfortably finished inside, with a fireplace. 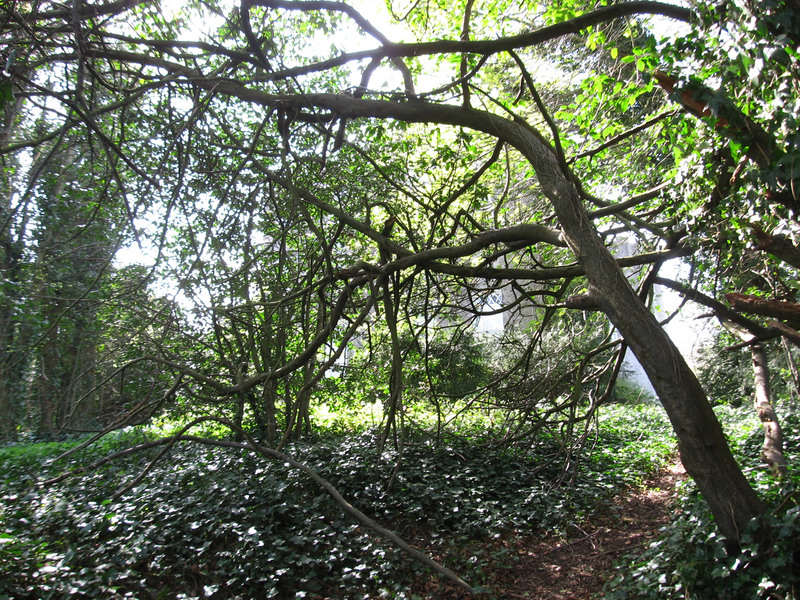 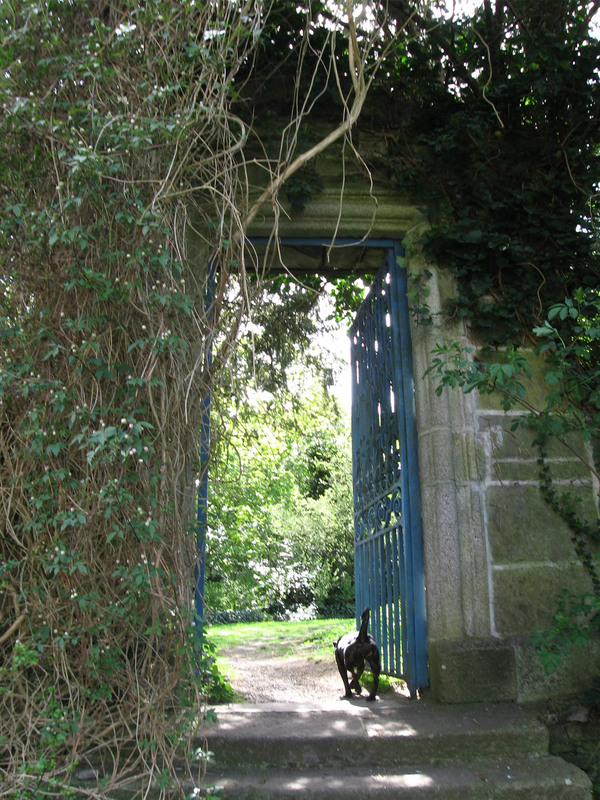 The dog led me down the little path that ran to the Gazebo. 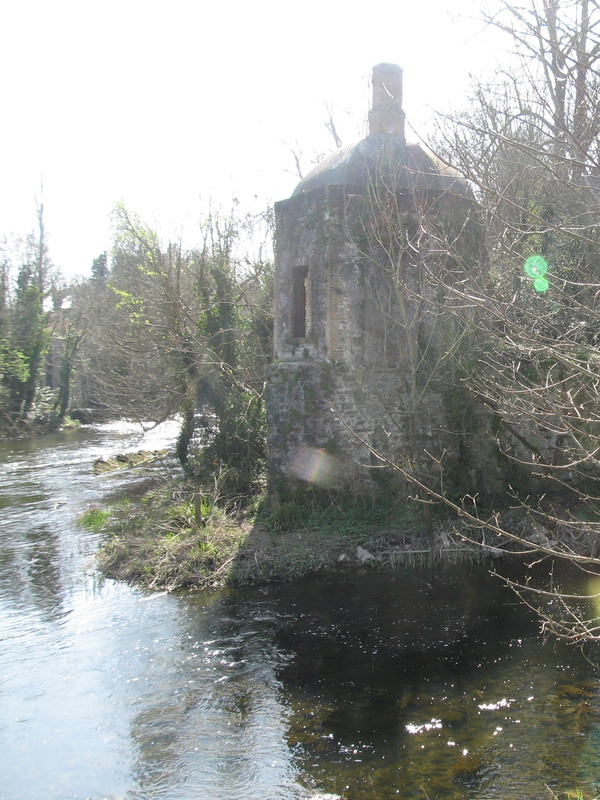 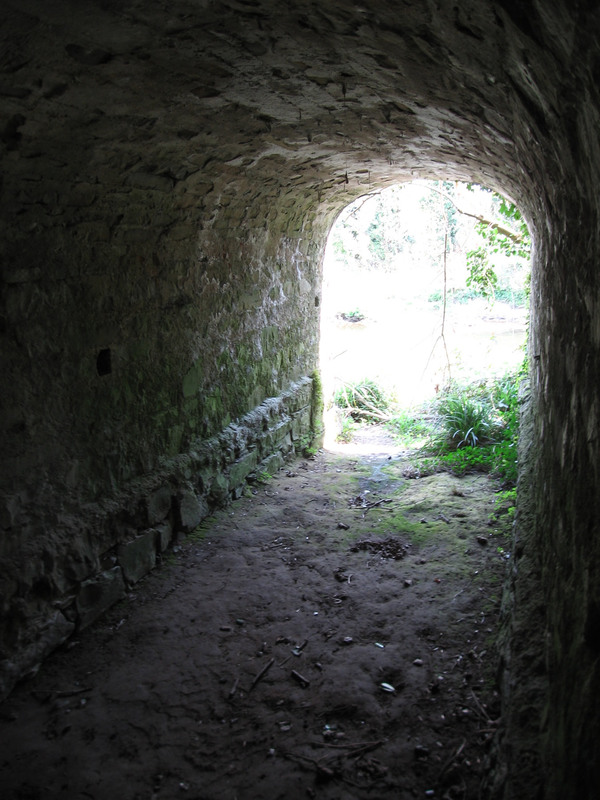 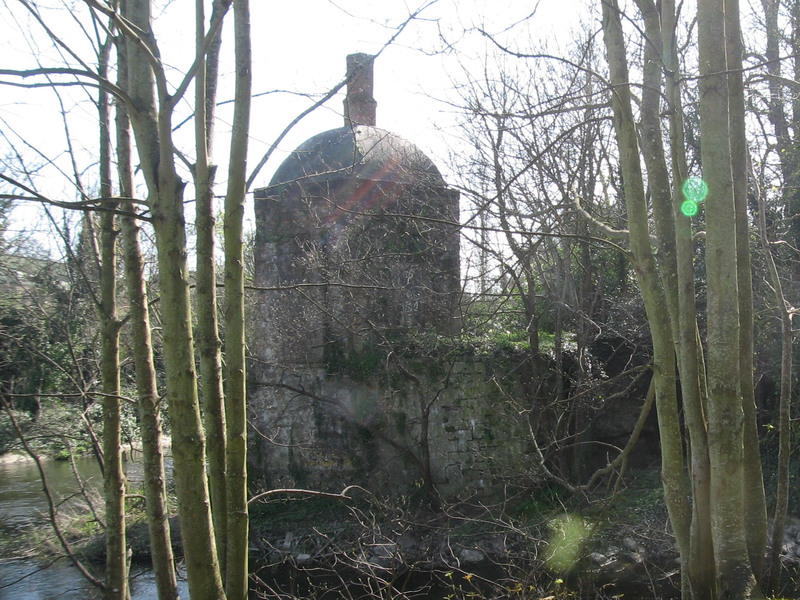 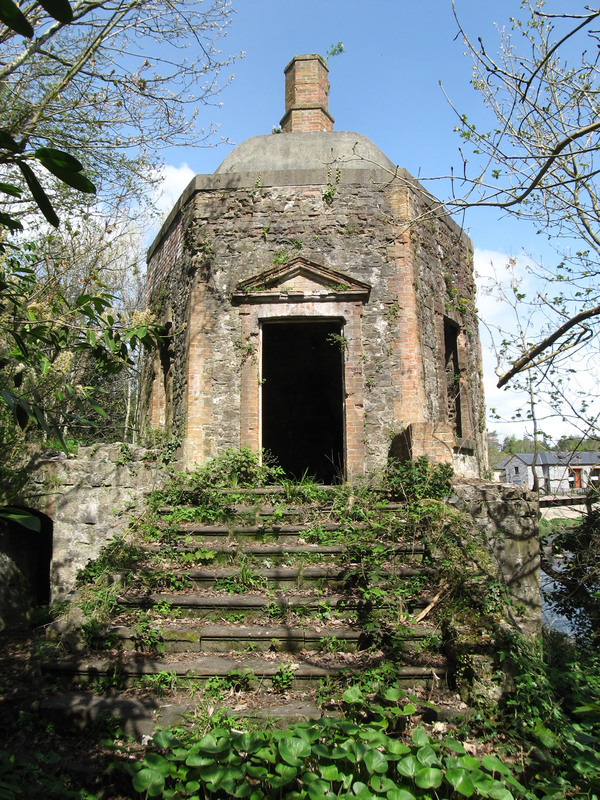 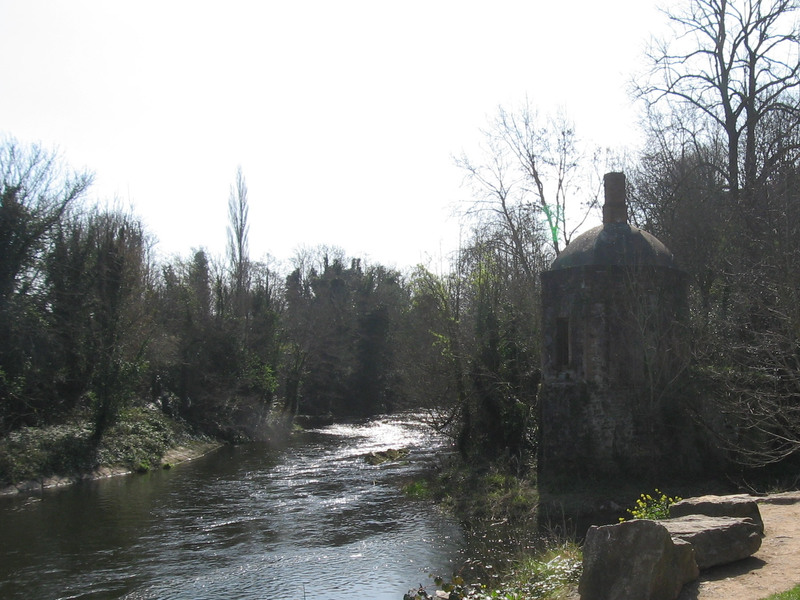 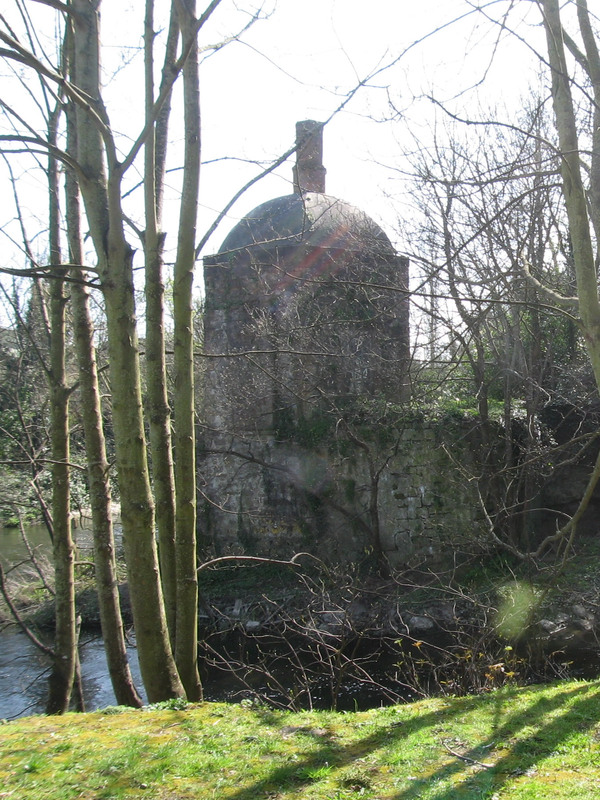 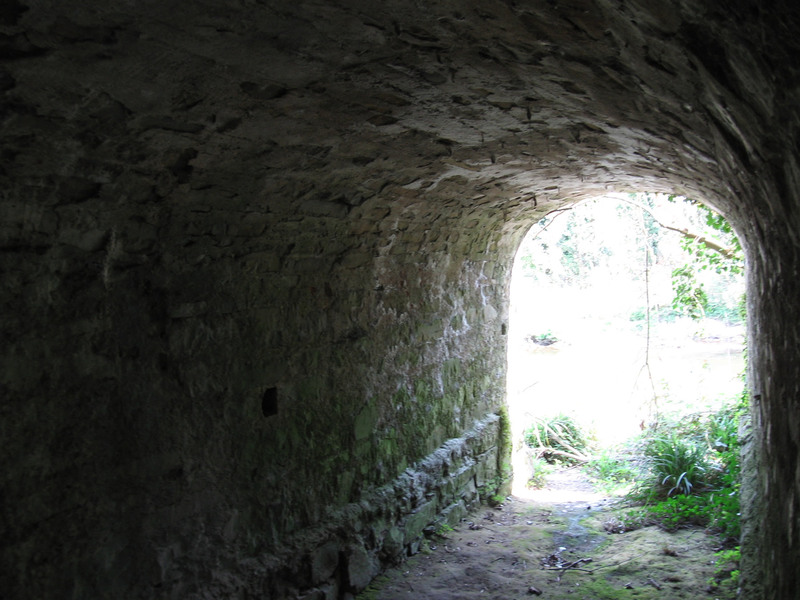 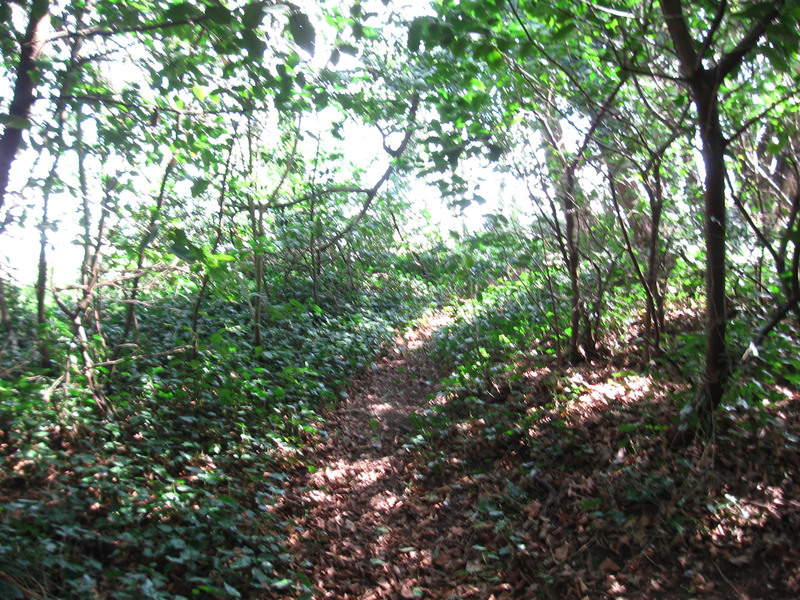 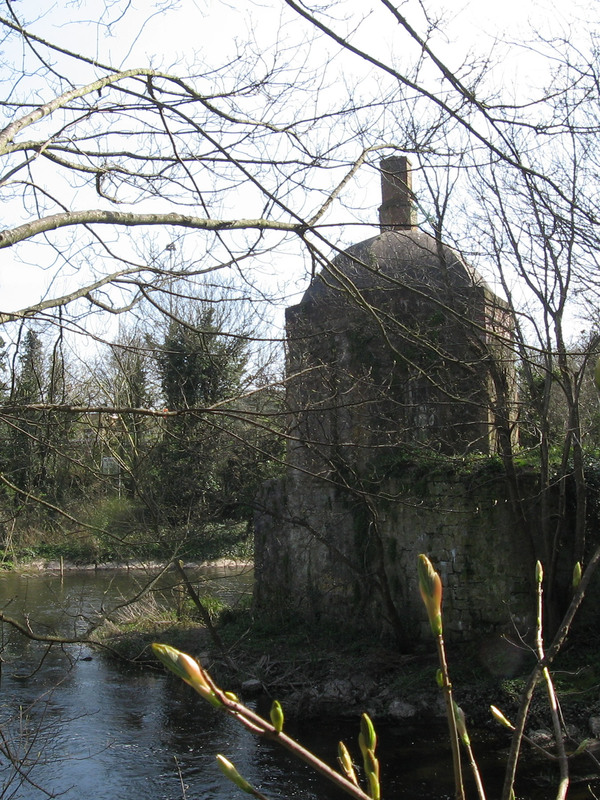 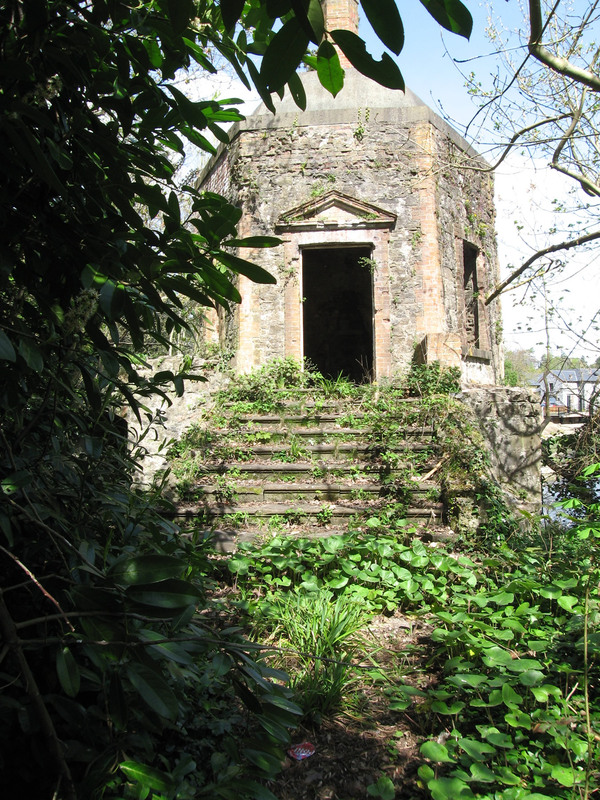 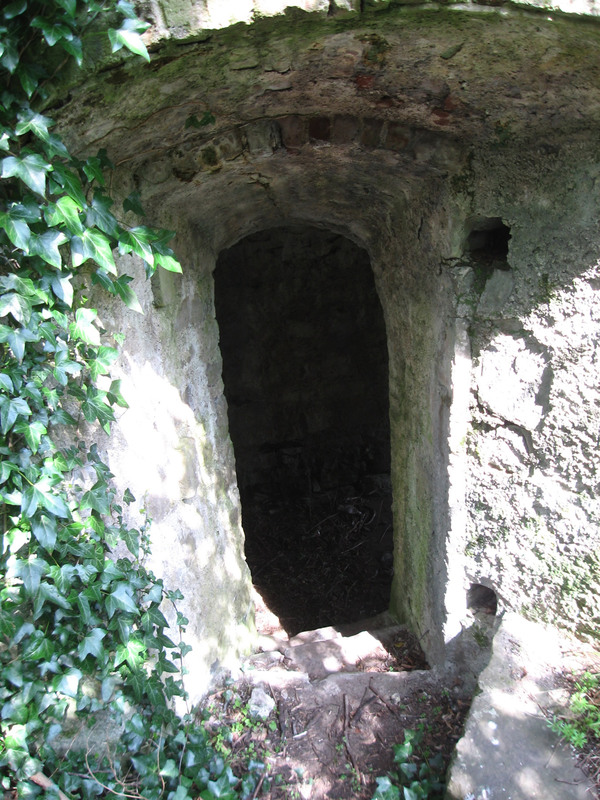 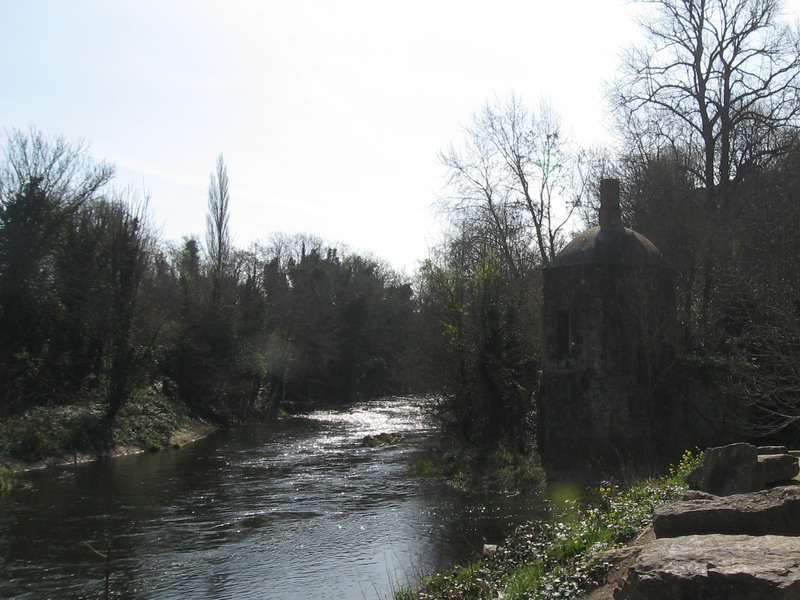 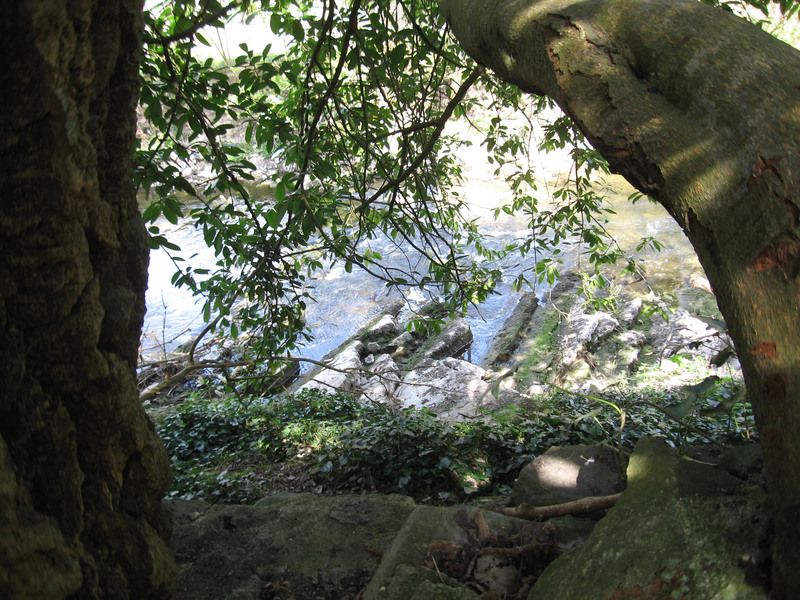 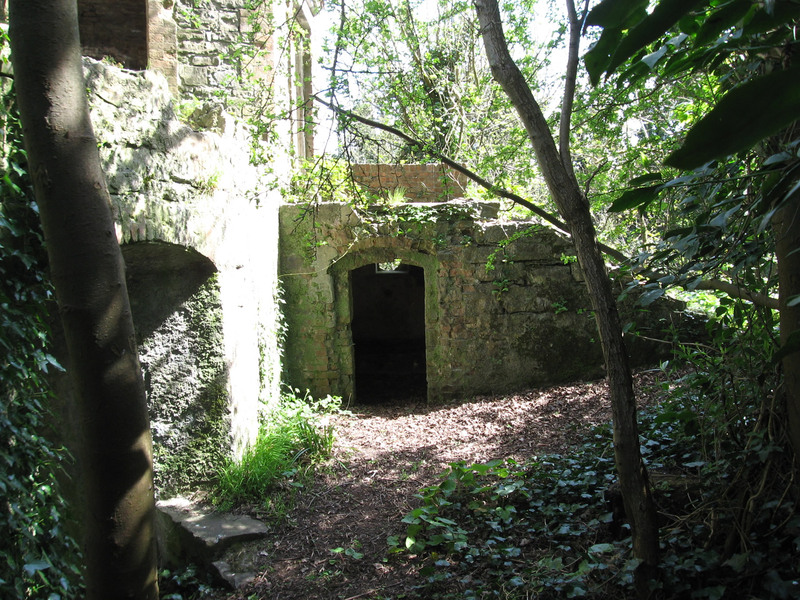 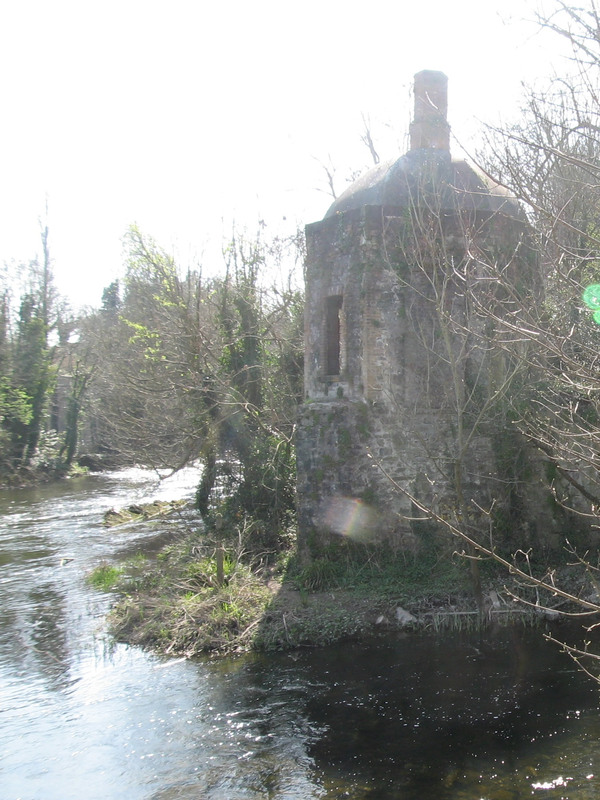 Space under the steps to Leixlip Castle Folly may have been used to store boating equipment. 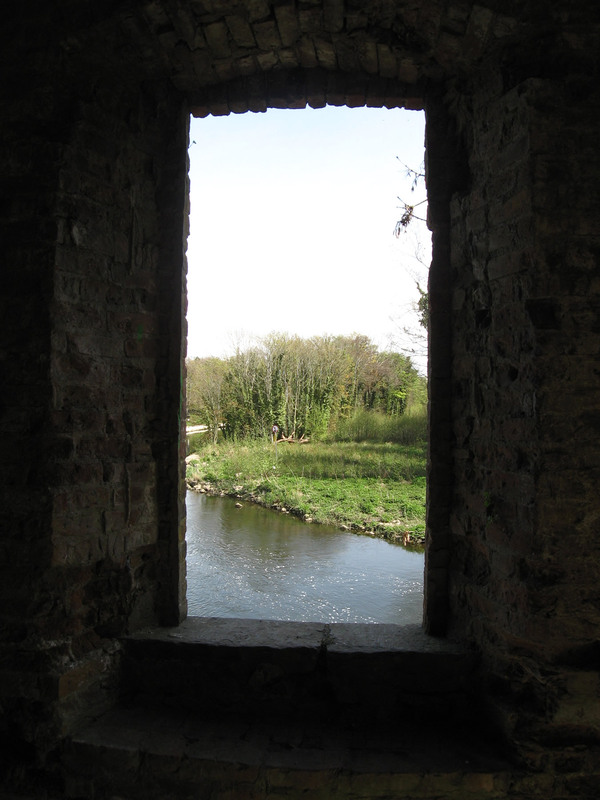 Interior of Leixlip Castle Folly. 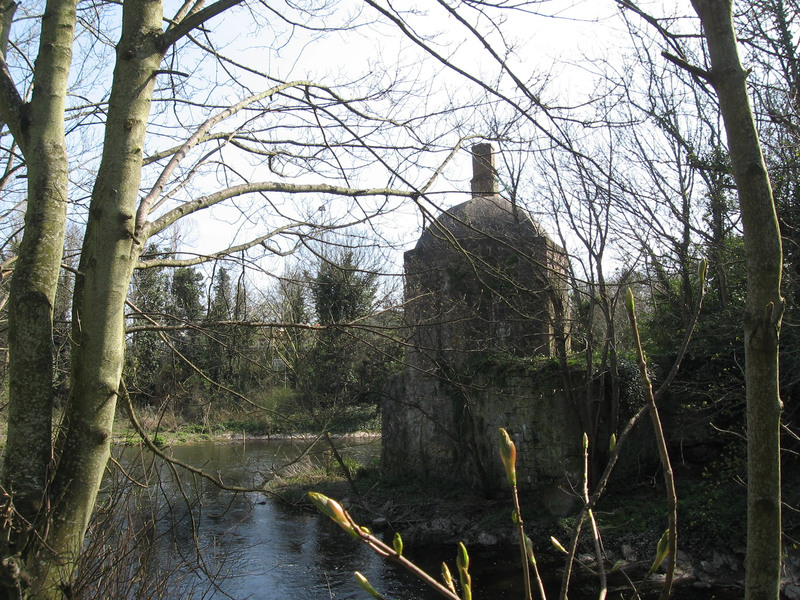 The dome is made in hexagonal brick vaulting. 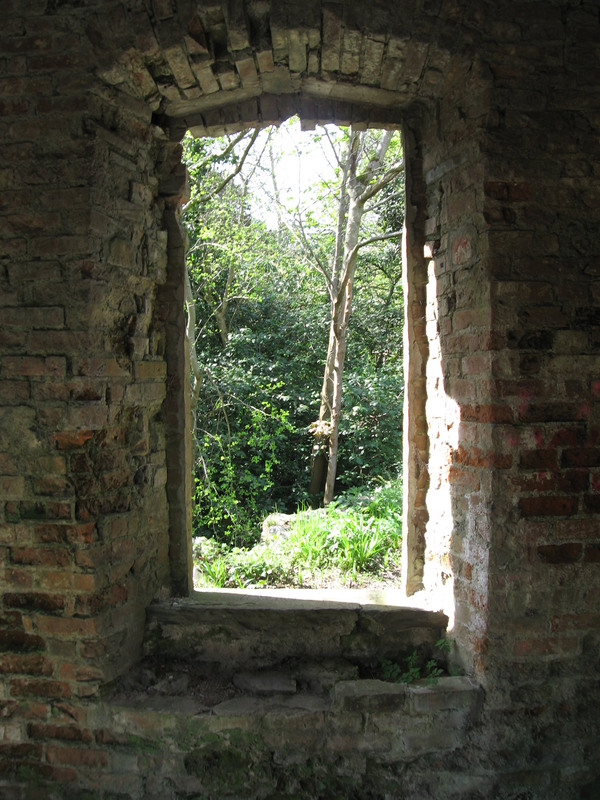 It used to be more finished inside. 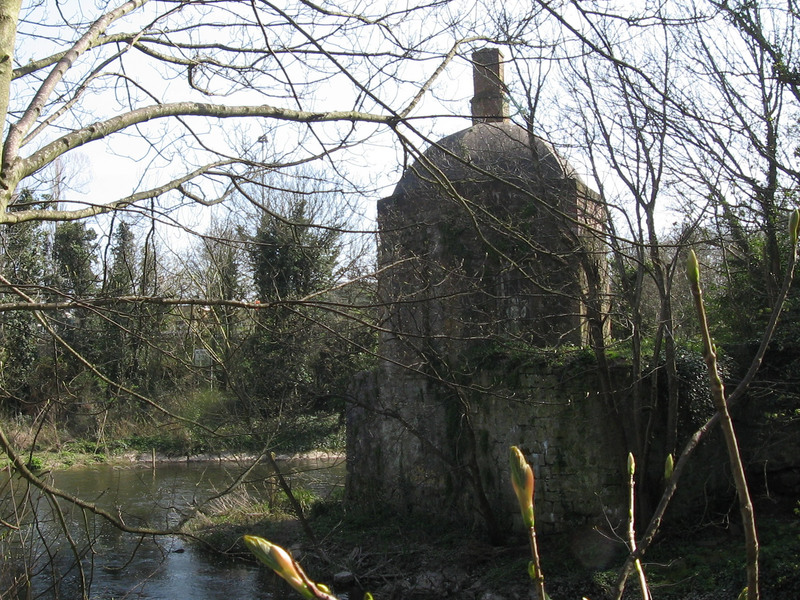 I took these photos earlier, from the other side of the river.